Enjoy the best inspirational, motivational, positive, funny and famous quotes by Afshin Molavi. Use words and picture quotations to push forward and inspire you keep going in life! A brilliant inquiry into the contemporary Iranian predicament and what it means for the world. At a time when all too many of our leading thinkers are mired in the weeds of provincialism and narrow ideological wars, Postel has written a work of grace, intelligence, and towering integrity. 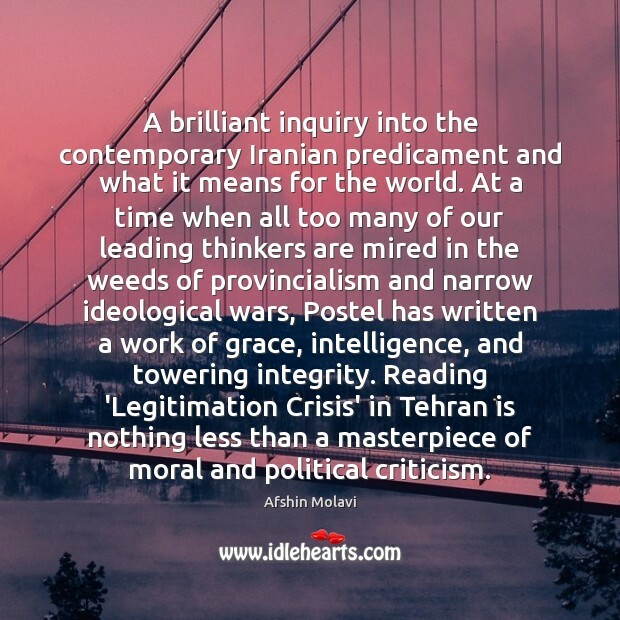 Reading 'Legitimation Crisis' in Tehran is nothing less than a masterpiece of moral and political criticism.